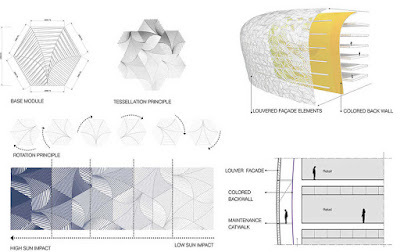 UNStudio has provided a two-part article to introduce various digital geometric block strategies used for UNStudio projects. The articles describe how block strategies have been used for past UNStudio projects and are still extensively used for UNStudio projects today. Geometric blocks are not a new topic in 3D modeling, but through increasingly available parametric plug-ins it continues to provide an efficient means of controlling a wide range of elements. Effective block strategies can decrease costs by enabling the fabrication of many of the same components for construction. This study reiterates some key qualities of blocks in the context of digital design and how they can be intelligently applied. 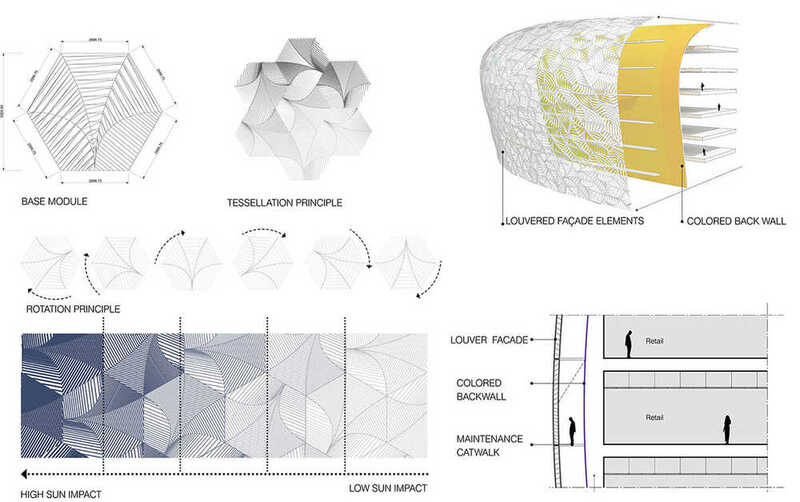 It then analyses the specific block strategies applied to the facade design of two of UNStudio’s projects.